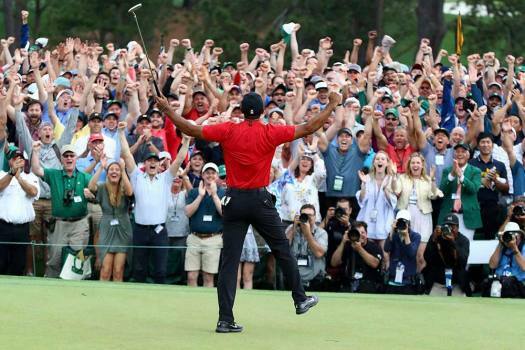 Tiger Woods reacts as he wins the Masters golf tournament Augusta, Ga.
Tiger Woods reacts to his drive on the second hole during the final round for the Masters golf tournament. 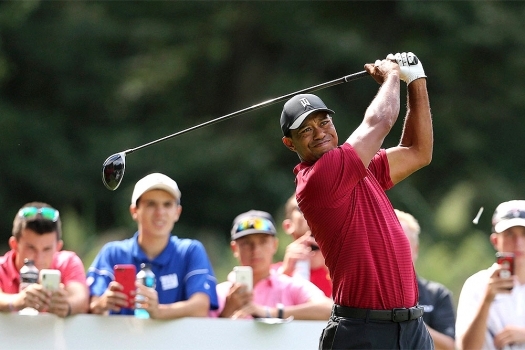 Tiger Woods watches his shot on the fifth hole during the final round of the Northern Trust golf tournament in Paramus, New Jersey. 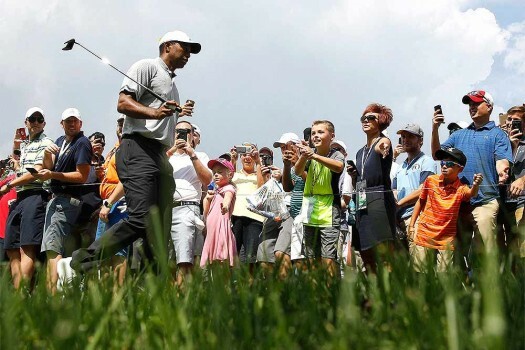 Tiger Woods walks past spectators on his way to the eighth tee during the second round of the PGA Championship golf tournament at Bellerive Country Club, in St. Louis. 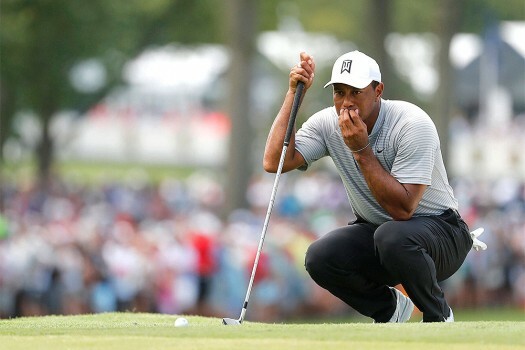 Tiger Woods studies a chip shot on the fourth green during the second round of the PGA Championship golf tournament at Bellerive Country Club, in St. Louis. 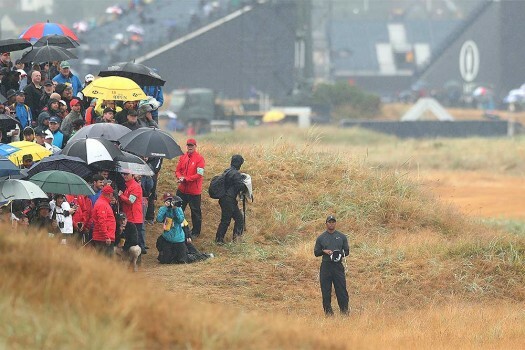 Tiger Woods of the US stands in the rough on the 2nd hole during the second round of the British Open Golf Championship in Carnoustie, Scotland. 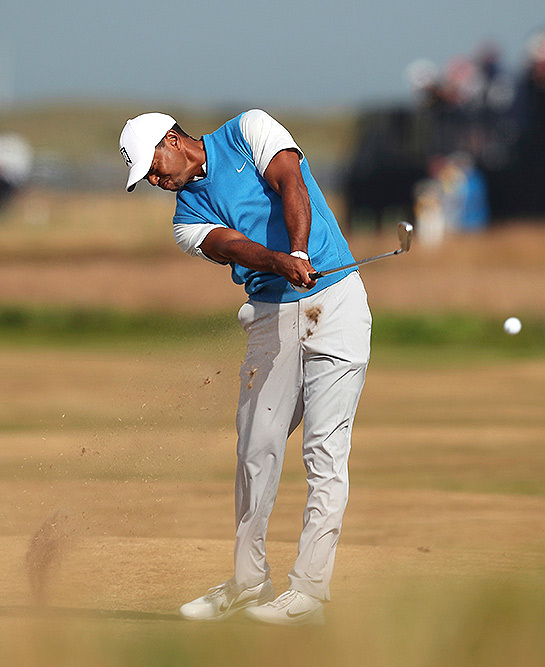 Tiger Woods of the US plays a shot on the 7th hole during the first round of the British Open Golf Championship in Carnoustie, Scotland. 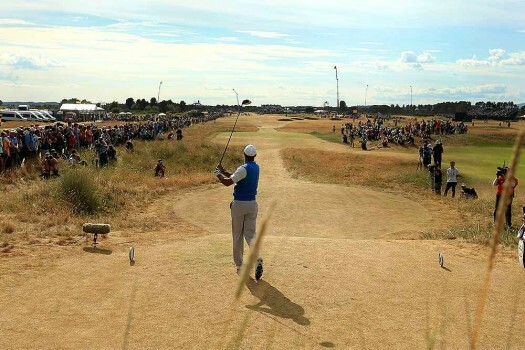 Tiger Woods of the US plays off the 6th tee during the first round of the British Open Golf Championship in Carnoustie, Scotland. 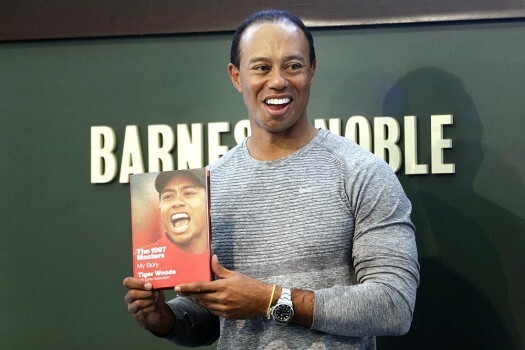 Golfer Tiger Woods holds up a copy of his new book at a book signing in New York. 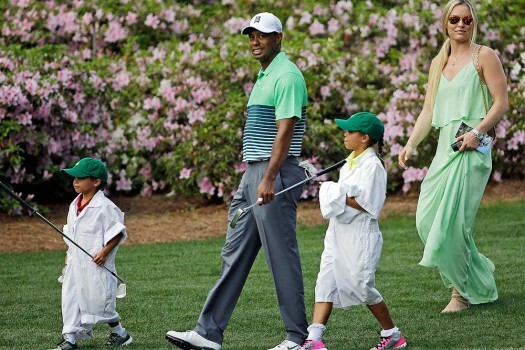 Tiger Woods walks with his children Sam and Charlie and Lindsey Vonn during the Par 3 contest at the Masters golf tournament, in Augusta, Georgia. 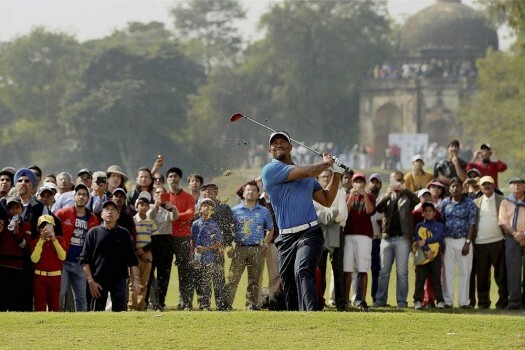 Golfer Tiger Woods tees off during an exhibition match at the Delhi Golf Club. 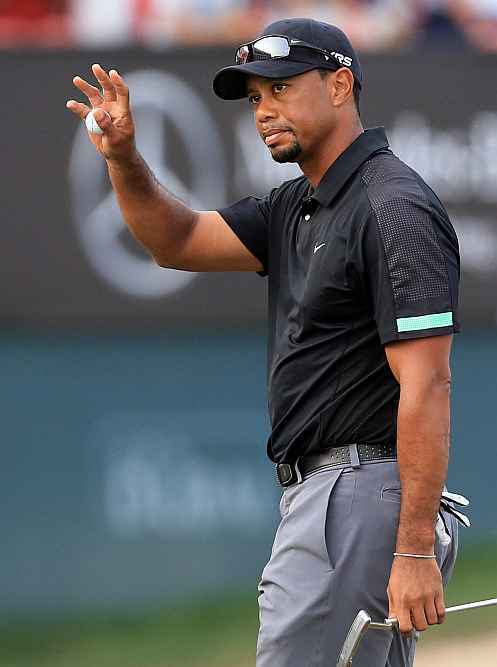 Tiger Woods waves to the crowd during the second round of the Dubai Desert Classic golf tournament in the UAE. 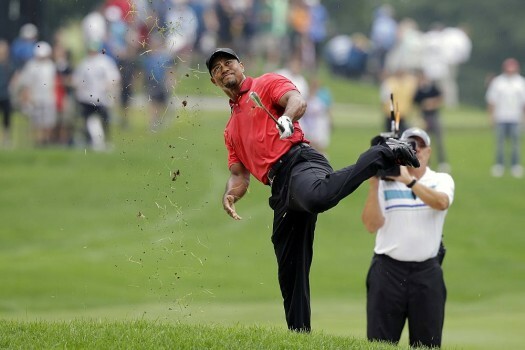 Lindsey Vonn of the USA, right, and boyfriend Tiger Woods leave the finish area during the women's Downhill race of the FIS Alpine Ski World Cup, in Val d'Isere, France. 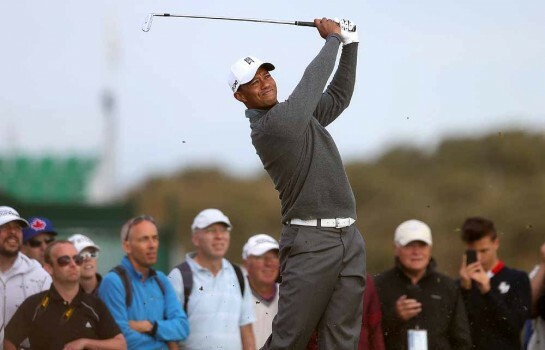 Tiger Woods plays a shot during a practice round ahead of the British Open Golf Championship, Muirfield, Scotland. 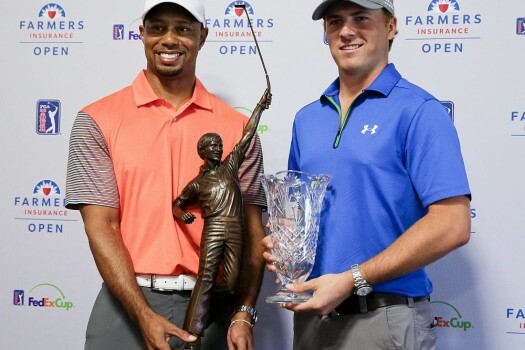 The British Open begins on Thursday, July 18. 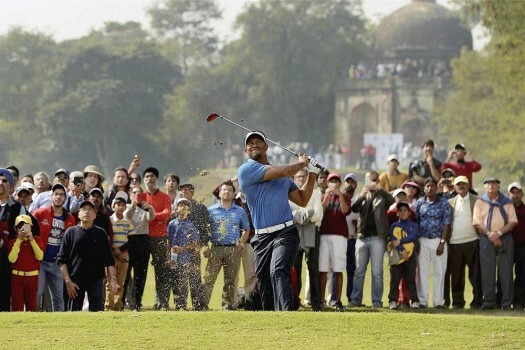 Golf legend Tiger Woods ended an 11-year major drought with a thrilling and emotional Masters victory on Sunday. 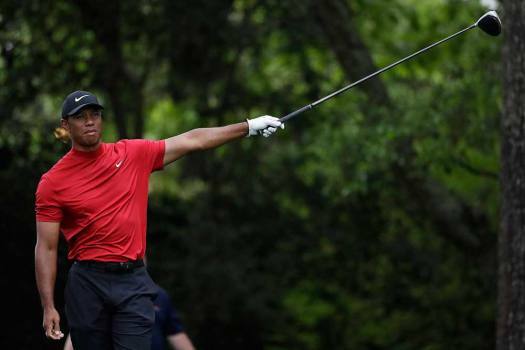 Ending an 11-year major drought, Woods, who underwent spinal fusion surgery in 2017 due to chronic back pain, seized his first major title since the 2008 US Open. 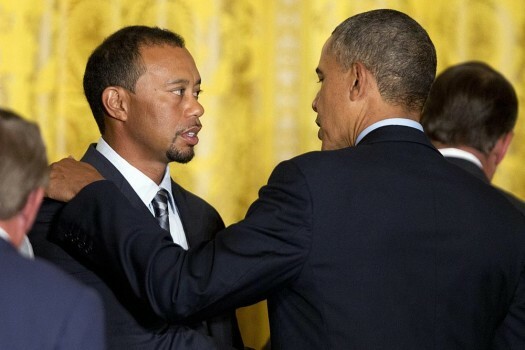 Both Nicklaus and Woods are regular golf partners for Trump. 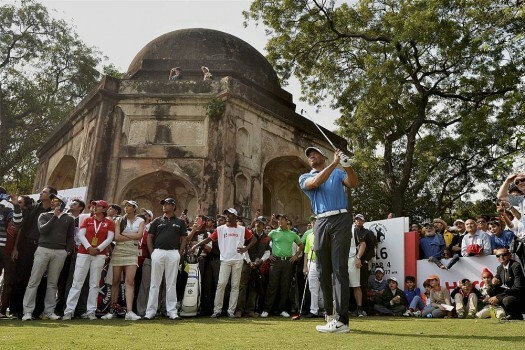 Nicklaus even designed the club's 18-hole course, according to the club's website.